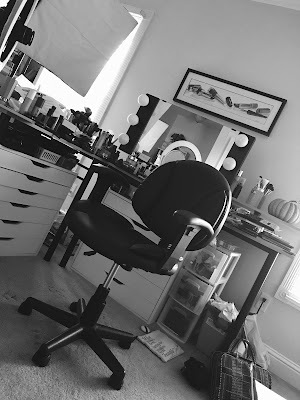 I rotate through a lot of makeup-related items on a regular basis, but some products just get more use than others! I've been traveling quite a bit lately... and that really helped me see what things I didn't want to be without! I came to the realization that there are six different eye brushes that I use pretty much every single day. I thought it might be fun to show you my must-haves! Quality-wise, these have all held up so nicely through many cleanings, and I'd like to point out that I do use Brush Guards on the first four brushes I mention when I dry them- it helps them keep their shape. Also, I am a Sigma affiliate so any links to Sigma brushes mentioned in this post are using my affiliate link. If you choose to buy any brushes- don't forget Sigma's 10% off code that's in effect through September 30th! The code is LJW2013. I absolutely love this shadow brush for packing shadow on the lid, or getting it precisely where I want it in the crease or outer V. It's definitely a "placement" brush- you can get the shadow where you want it with this, then buff out the edges with something else. It's not a tiny brush, but it's quite a bit more narrow than the average flat shadow brush. I just love the control that this brush gives me, so it's the one I reach for the most. If you have small eyes or just want a little more precision with your shadow, give this brush a try! This is my go-to crease brush! 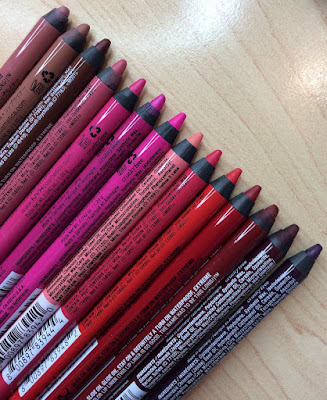 It's a great size for getting a diffused application of shadow in the crease or outer V. Since the ferrule is slightly pinched toward the top, I feel like I'm almost getting two brushes in one. When you use it the way it's shown above, it works beautifully for wedging shadow in the crease. But when you turn it vertically, you can take advantage of the fluffy-ness and get a blended look. On a very quick day, I could use just the Sonia Kashuk Small Eyeshadow brush and this- and be good to go! Most of the time, I use this brush as just a blending tool- just to buff out the edges of the look I'm doing. While I'm usually applying some shadow with the E25, this is the one that comes in and gives a really clean, finished look. I also sometimes use this brush to apply lighter shadows as a highlight under my brow. Because it's so full, I get a highlight that's diffused rather than thick and unnatural-looing. This is a fairly common style of brush to find in stores, and I have quite a few from other brands in my collection. Size-wise this is a happy-medium though... not too small, and not too big for my eyes. If this group of brushes were a family, this is the baby! It's the newest addition to my core group of most-used brushes. It's probably a third of the size of the E25 and E40, and that's a good thing, because this performs a different function for me. I like to use this to apply a transition shade on the border of my deeper crease colors- usually whatever shade I'm applying with this will be just visible on top of the brow bone (but not all the way up to the brow). This brush is part of Sigma's Performance Collection (smaller, detail-oriented brushes). It's so light and wispy that I get just the perfect, diffused application that I'm looking for. It's kind of hard to explain, so you might want to see the brush in action in this tutorial. Here's my favorite little smudge brush! This is just the ideal size for smudgy liner (you'll see this brush and others in this post on Best Brushes for Smudgy Liner). Like the E36, this is from Sigma's Performance Collection. I love using it to either blend out a creamy liner, or to apply a powder shadow for a very soft liner look on the lower lashline. This washes up perfectly and has yet to become misshapen. Ever since using this, I've reached for my angled liner brushes much less, unless I'm going for some specific look. This just frames the eye/lower lashline in such a soft and pretty way! Love this brush! I believe I sang its praises in one of my most recent Best in Beauty videos. This brush is my first experience with a metal lash comb, and I must say, it was a total game-changer! I love that it doesn't have extra thick prongs on each end, allowing it to really comb through the lashes easily for extra separation and clump removal. I wipe it down with some brush cleaner after pretty much every use- otherwise it won't perform the way it should. The brow brush on the other side isn't quite as special and different, but it gets the brows in place just fine! I have the iPhone 5S... I'm not sure if I'll ever fully understand its capabilities! Uploaded a new video today on BeautyVlogcast- it's about my long-time magazine obsession. Check it out! Had a really fun weekend in Nashville with Tyler and mom & dad! It was my parents first visit to Nashville and they loved it! (You know this if you saw my Instagram pic!) I did karaoke for the first time (solo!) I am nuts. I sang Last Name by Carrie Underwood, and then the waitress told me I should sing another one (a couple of Bud Lights later, it seemed like a good idea to me!) So I sang Done by The Band Perry- Tyler chose it for me. We had a ball! We also ate at a Waffle House on Sunday morning. HECK YEAH. Thank you for all the support on the new channel - Beauty Broadcast Express!!! New reviews 5 days a week! New 1-Brand Tutorial is coming tomorrow to my main channel! I have the E25 (per your recommendation!) and LOVE it! The E36 is definitely going to be a part of my next Sigma order! Recently purchased the Real Techniques brush/comb, and the lack of fat end prongs on the RT one does seem to make a difference! Also, as always, I appreciate you mentioning that you're a Sigma affiliate/being up front about using affiliate links. Woot woot honesty :) Finally, I think a similar post on foundation brushes could be useful. In particular, which kinds are "must haves" for different foundation types...I'm not quite sure about those typical flat foundation brushes vs fluffier ones, flat topped ones, etc. OMG! Those are my shower songs LOL!! Are there brushes that are less than $10? I'm not sure if I want to spend $10 on one brush. Purchase the black handle brushes by ELF. Rite Aid brushes are good too. These are all great brushes! I love Sigma the best! Loved this post! I have the small SK eyeshadow brush-bought it years ago; just recently picked it back up again & love it for depositing color on the outer 3rd! I have most of these brushes and love them. I am so happy that I found Sigma brushes because they are all I use besides a few Real Technique brushes. The Performance Kit from Sigma is perfect (and I dont have small eyes) I just like the detailed and precision that they give! I'm so glad to see someone talking about that sonia kashuk brush. I have loved that brush for years and I've never seen anyone ever talk about it. It was the second brush I ever bought. And I got the RT brow comb and I love it. I love articles like this one! FANTASTIC suggestions. Sonia Kasuk is a great brand, and so affordable too. I use my blending brush all the time - definitely a must. Thanks so much for this review, I need to try the SK brush!! Would have loved to have seen your Karaoke performance!! I am sure it was wonderful!! Maybe you do a demo of it on BBLIVE this week!!! You can get Real Technique brushes at any Walmart in Canada - the selection isn't as good but they have a bunch of the sets. It depends on how big the walmart is but almost all of the ones I've been to have them! Hope that's helpful! I love the idea behind your new channel! I'm really excited to see more from you! Thank you for being vulnerable enough to share your life with us. Really. I so enjoy reading your posts (on all social media avenues! LOL) and sharing life with you. Thanks for "keepin' it real". Thank you for posting this.....now looking forward to face brushes! I love that you showed the price of each brush! That was SUPER helpful! I'd also love to watch you sing karaoke! You should have Tyler video tape next time! P.S. I live in Columbia, MO! Hello!!! I am in need of a new brush for packing eye shadow. I want to get that RT shadow brush that is sold by itself, but if I can't find it, I'm glad you recommended the Sonia Kashuk one. I bought the E36 (based on your review) and I looooove it!! Thanks so much! Great Sharing also visit firefox filehippo website for All Latest and New Softwares. You actually look like one of the models I tip regularly on cam4. I just give her free tokens I get from cam4tokengenerator.co, But you look like her.